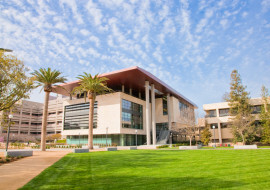 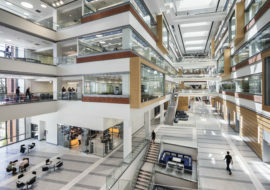 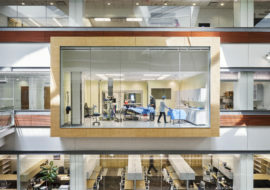 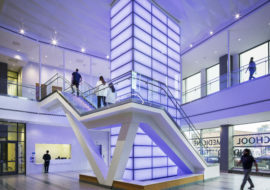 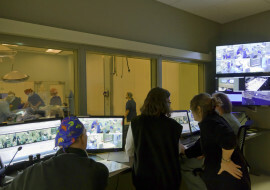 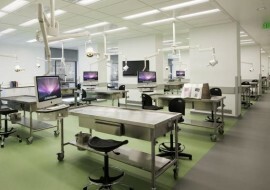 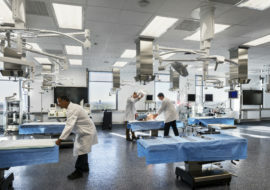 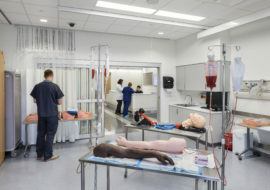 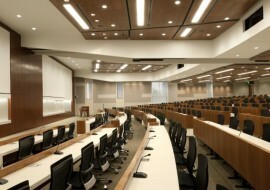 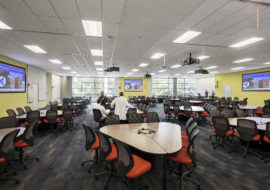 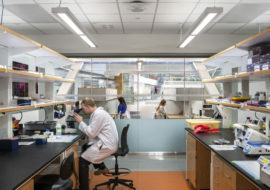 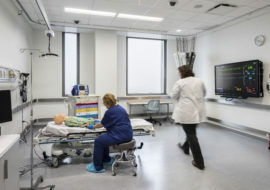 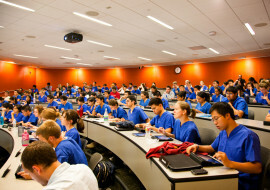 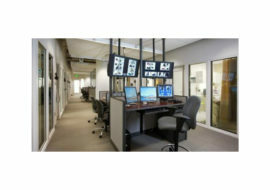 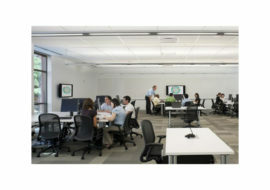 OSF Jump Trading Simulation and Conference Education Center is a 90,000 square foot facility comprised of conference rooms, breakout rooms, classrooms, simulation exam rooms and operating rooms, and an auditorium. 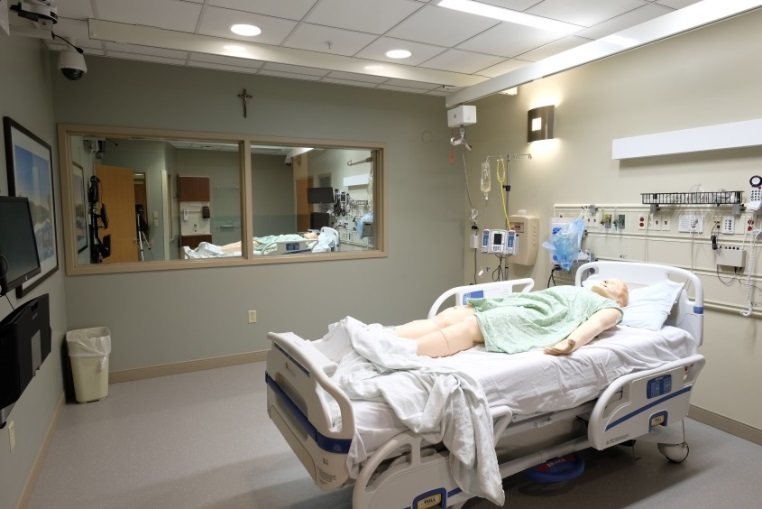 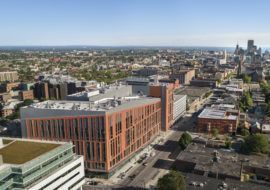 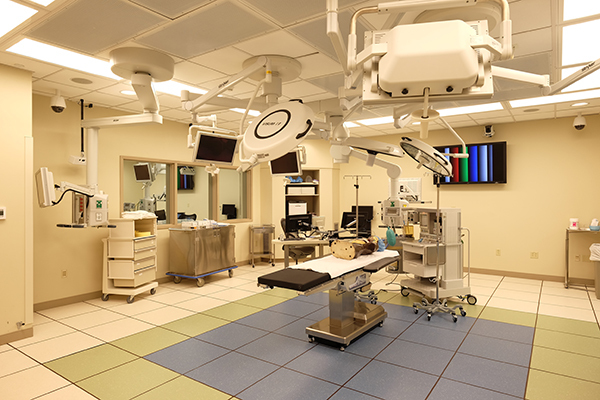 The facility is a virtual hospital that combines actual medical equipment and the latest simulation technology in order to provide state-of-the-art education, training and research. 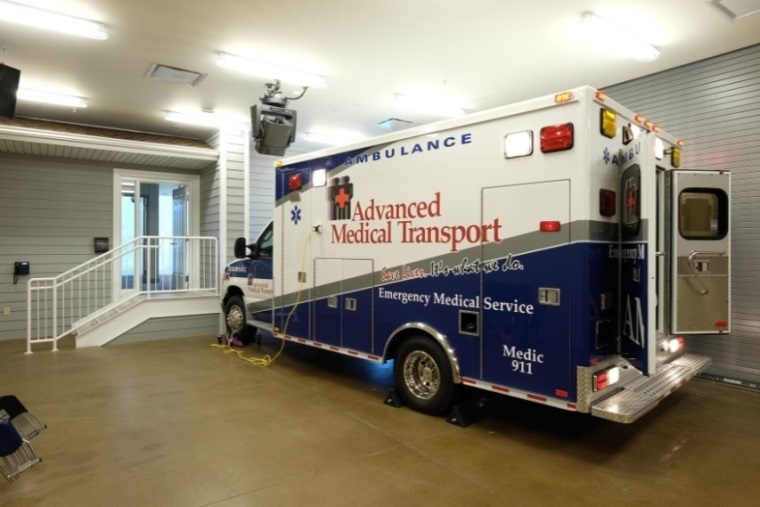 The facility also includes a regional transport center – a simulation first-response apartment and ambulance. 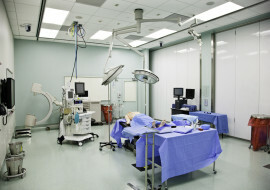 The facility is a collaborative between OSF Health Care and The University of Illinois College of Medicine at Peoria. 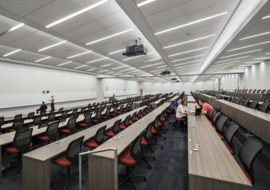 Shen Milsom & Wilke provided audiovisual, IT infrastructure and acoustical consulting services for the facility.